Hello, Guys are you looking for the SSC MTS Exam 2018 Application Form? So, we have impressive news for those Job Seekers who want to make their career bright in Staff Selection Commission. Here, in this post, we are going to describe all the information regarding the SSC Multi-Tasking Staff Recruitment 2018 in the below description of the article. All the interested & skilled contenders may read this article very attentively & collect all the details. You may fill the online application form from the official web portal of the Staff Selection Commission that is www.ssc.nic.in. Aspirants must have to check our careerjobs360 official web portal & get all the latest update from here and stay in touch with us for future reference. Staff Selection Commission has pronounced the Official bulletin for SSC MTS Jobs 2018 for the placement of effective and efficient aspirants for filling up 8300 Multi-Tasking Staff Positions in the SSC Department. Staff Selection Commission has invited various application forms from the eligible and talented aspirants for filling up 8300 vacant posts in the department. 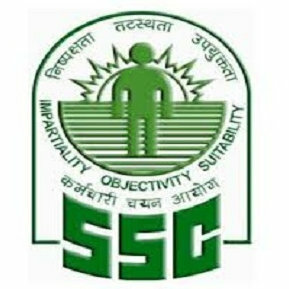 Aspirants who are looking for the job in Staff Selection Commission then they may apply for this SSC Multi-Tasking Staff Recruitment 2018 from the official website of SSC which is provided at the end of this post. Contenders may submit their online application form on or before the closing date which is 03rd December 2018. To fetch more details regarding the SSC MTS Vacancy 2018 like as age limit, academic qualification, key dates, application charges, how to apply etc are provided below in the article. Academic Qualification: The Interested applicants who want to apply for SSC Multi-Tasking Staff Recruitment 2018 must have completed Matriculation from any recognized Board. For more details, contenders must visit the official advertisement of the Recruitment. Maximum age limit is 25 years. Age Relaxation: Upper Age Relaxation will be applicable 05 years for SC & ST Category & 03 years for OBC-NCL Category & 03 years for Ex-Servicemen Category. Pay Scale: Candidates will get the salary package of Rs.5200/- to Rs. 20,200/- along with Grade Pay Rs.1800/-. The application form fee is Rs.100/- and application form fee is non-refundable. The aspirants who is from SC/ST/ Ex-Servicemen Category their application fee is Exempted. Selection Procedure: Aspirants will be selected on the basis of their performance in the Written Examination, Skill Test which is going to be conducted by Staff Selection Commission. How to fill the SSC Multi-Tasking Staff Application Form 2018? Applicants who meet all the eligibility needs of the recruitment then they may apply online for SSC MTS Recruitment 2018 through its official portal on or before the last date. Here, we provided some steps for applying for the posts easily. Firstly, aspirants need to access the official website of Staff Selection Commission that is www.ssc.nic.in. Then download the SSC MTS official notification. Open the notification in the next tab. After that, candidates must Read the complete notification carefully before applying for the post. Now, register yourself with your email and valid contact no. After fill the application form without making any mistake. Attach all the scan documents with the form. Then finally click on submit button and submit the application form. Take the hard copy of it and keep it safe for further use. Here, in this article, we provide all the detailed information about the Delhi SSC Sub-Inspector Recruitment 2018 in the above description of the article. All the contenders may apply online for this vacancy from the official website that is given at the end of this article. For more details please check our careerjobs360 portal & stay connected with us.